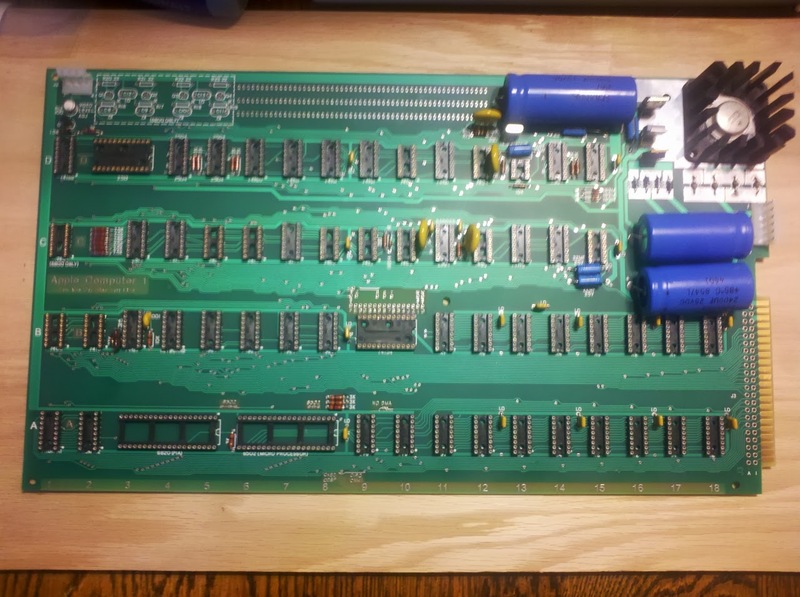 All soldering except slot connector COMPLETE! I know, it’s an out of focus cell phone shot, but I’ve already got it drying after cleaning the flux, and don’t want to take another shot. Plan for tomorrow: build the AC side of the power supply (that is, wire up the transformers), and go for first power up to test the power supply section.